Los Angeles-based researchers working for the U.S. Army announced that they have finally found the signature of the elusive Majorana fermion. 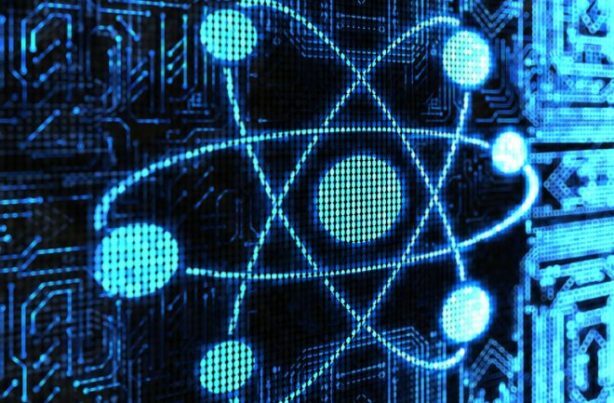 According to an article on ScienceDaily, this theoretical particle will allow quantum encryption technologies that would block cyber hackers from accessing communication networks. Quantum computers are much faster and efficient than traditional units. The U.S. Army wants them for their ability to process huge amounts of data, which would improve situational awareness. The University of California in Los Angeles (UCLA) research team built a stack of magnetic topological insulator and superconductor layers to isolate the signal. Their set-up produced the clearest evidence of the Majorana fermion. Professor Kang Wang directed the efforts of the UCLA research team. He published the findings in the journal Science in July 2017. The Majorana particle has zero electrical charge. It serves as its own anti-particle. This neutral electric charge makes it the best transport for a qubit, short for quantum bit, the smallest unit of data used by quantum computers. Standard computers use “bits” of data. Each bit can be “0” or “1” but never both. Qubits, on the other hand, can serve as 0s and 1s. This doesn’t just double the computing power of quantum computers; it exponentially boosts power. Furthermore, the Majorana fermion can resist external interference thanks to its neutral charge. Its charge also makes its suitable for entanglement, a quantum property where two physically-separate particles can encode information at the same time. Wang likens normal data bits to cars that go both ways and compares computers to two-lane highways. Quantum computers would have many “lanes” and levels of traffic, and qubit “cars” could jump between levels and drive in both directions simultaneously. Majorana particles would be “armored cars” that travel as fast as super cars. In the experiment, Wang’s research team placed a superconductor on top of a thin layer of quantum material called a topological insulator. This set-up let the engineers control the particles to follow a certain pattern. They drew a tiny magnetic field over the superconductor-topological insulator set-up, generating electron movement between the two materials. The researchers studied this electrical traffic for quantized signals, the unique “fingerprint” of a quantum particle. Majorana fermions are not halves of an electron, but they act like them, explains Qing Lin He, one of Wang’s co-lead authors for the UCLA study. During the experiment, the researchers noticed that particles moved along the edge of the topological insulator in a noticeable pattern similar to a braid. This was the quantized signal of the Majorana particle. Their follow-up study will figure out how to knit Majorana particles together into “quantum braids” that can store and process information at unmatched speeds. Another co-lead author, doctoral student Lei Pan, explains that conventional quantum computers use complex processes to fix errors. But using Majorana particles to encode a quantum computer makes it highly resistant to corruption. Such a topological quantum computer would continue working despite faults and resist outside attempts to hack it. More articles about scientific discoveries await you at Discoveries.News.